Highland Cemetery, across the road from the college, can be an uncomfortable setting for some. As Halloween approaches and the days begin to get cooler students look for a good scare this time of year. They want not just a regular scare like watching a scary movie or going to a haunted house, but a real scare. Allen County is home to quite a few ghost sightings and stories. Kurtis Russell of the Allen County Historical Society has researched local ghost tales, although he does not believe in them. 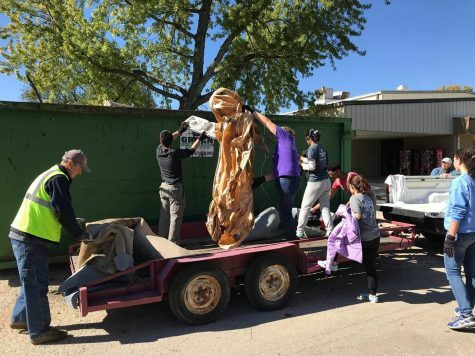 A few destinations for a good spook for students are not far from Allen Community College, such as the cemetery right across the street from campus. 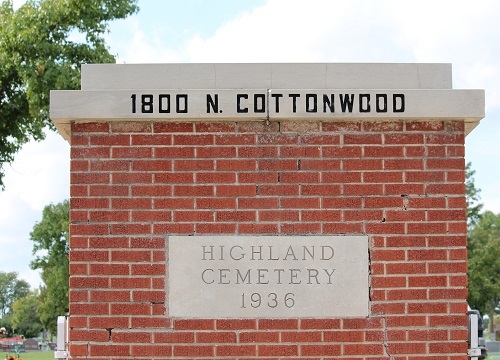 Highland Cemetery on Cottonwood Street is where the first legal execution in Kansas took place. Legend has it that John Bell, age 24, who was a private in Company I of the second Kansas Cavalry that was stationed in Iola, and another soldier became intoxicated on the way back to Iola on July 4, 1892. Along the way from Humboldt at a farmhouse, Bell allegedly raped a farmer’s wife. The next day it was reported by the victim in Iola. “He [Bell] should not die for the amusement of the citizens.” Cloud said. The place and date of the execution was moved to where the cemetery currently sits on the morning of July 11, 1862, in order to avoid having a crowd. Townsfolk still knew and showed up to Bell’s execution. Bell was buried in the same place that he was executed, in Highland Cemetery right here in Iola. “Still to this day locals believe that the ‘restless ghost’ of John Bell still walks the hill at night,” Russell said. RUSSELL ALSO mentioned the old county jail, which is downtown at 204 N. Jefferson St. The jail was built in 1860 as there was no prison in use. After only a few months of using the jail a small mob of townspeople pushed their way into the jail and took prisoner E.G. Dalson on the night of June 27, 1870. Dalson was alleged to have murdered his stepson. Dalson was taken south of Iola and hanged by the mob. “Personally, I don’t believe in ghosts, but there is a tea cup set in the jail, and when put upward it seems to always be knocked down,” Russell says. Atchinson Paranormal was mentioned in an article that highlighted the jail in the Iola Register on August 14, 2017 and they ruled that there was activity in the jail. The jail today is on the U.S. Register of Historic Places and is open to tour Tues.-Sat. at 1:30pm.